Hawksburn Village Dental can help with all your general dentistry needs. 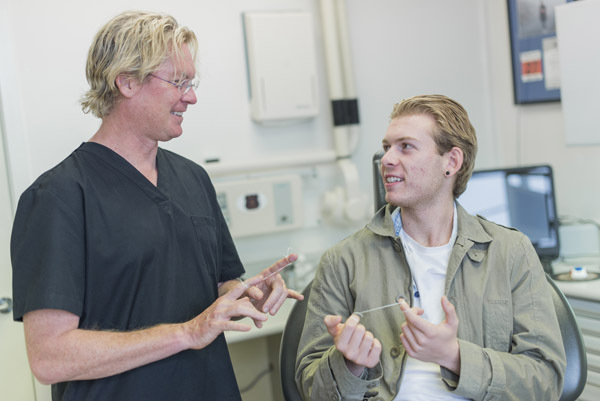 Dr Pohl has been treating children through seniors in Toorak for nearly a decade. Offering experienced, gentle care, Dr Pohl looks forward to helping you and your family achieve excellent oral health and a brighter smile! Regular dental checkups and hygiene appointments are the key to keeping a healthy smile. Dr Pohl offers advice on diet and daily habits to help keep your teeth healthy and bright. If you are experiencing severe pain or tooth trauma, then call us immediately at (03) 9826 5058 and we will endeavour to see you on the same day. Dr Pohl can see your whole family in one long appointment time to offer you the convenience of only one visit. He has seen many children and families grow up under his care. If you, or your children, are playing any type of contact sport, it is important to have a correctly fitted mouth guard to prevent damage to the teeth and gums. Dr Pohl is experience in fitting mouth guards for a range of different activities. Discover how our general dentistry services can help enhance your smile! Contact us today to schedule an appointment.